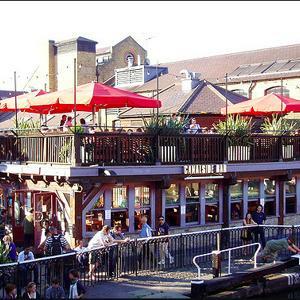 Welcome to the Camden Munch! Every third Friday of the month this friendly, fun and totally inclusive place opens its doors for all the people on the Fetish scene. Access to the bar is through the 'Market entrance' on the left-hand side of the bar. With an early start date, feel free to come straight from work. For all newbies, it's recommended to arrive early as it's quieter and more comfortable to talk to people about how munches work and what to expect. The goal is to create a safe, inclusive environment where everyone is welcome to relax and enjoy themselves. There's no dress code, but please note there are no blinds on the windows.